The cantilevered supporting structure works differently for different shapes and sizes of canopy. 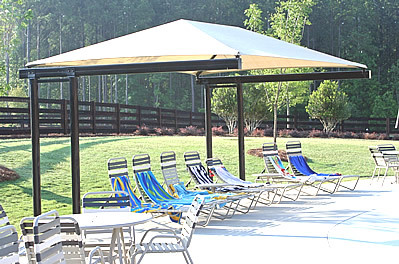 Square and rectangle cantilever shades have posts along one side of the canopy (for rectangles, usually one of the long sides). There are 2 sets of posts at either end of the long side. The posts have long horizontal arms that project across the area to be shaded. 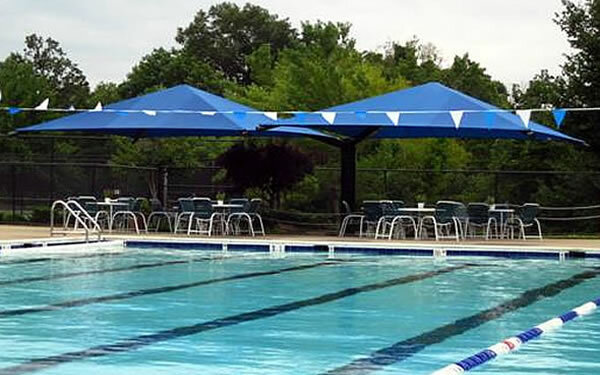 Umbrella cantilever shades have a single post outside the canopy area. 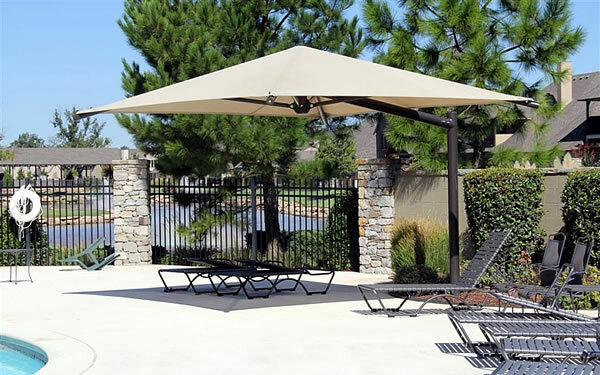 With smaller models, the vertical post and support arm extend above the canopy, and suspend the canopy from above. 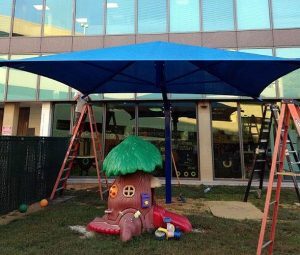 With larger sizes, the post extends under the canopy at an angle, supporting the canopy frame structure. Both designs are very practical for casting a long shadow without creating any obstacles for the play area users. The canopies are available in square or hexagon shapes. just phone us toll-free or contact us.